On January 25, Syriza — a previously marginal, left-leaning coalition party in Greece — made history by winning the country’s general election. Winning 149 of 300 parliamentary seats, the party fell just two votes shy of an outright majority. 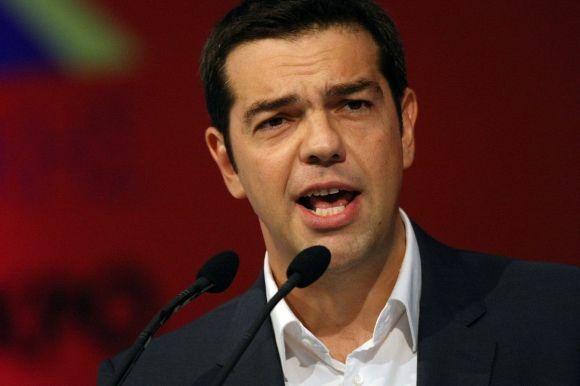 Syriza’s leader, 40-year-old Alexis Tsipras, became prime minister at the head of a coalition anti-austerity government, beating out the conservative New Democracy party and its now former prime minister, Antonis Samaras. Together, these two sister movements from the Mediterranean are looking to alter the course of European political, economic and social life, maintaining both left-patriotism for their respective nations and a defiant internationalism. In an interview with Jacobin, Syriza central committee member Stathis Kouvelakis describes his party’s success in terms of its transition from “a party of members [rather than] a party of activists or active members, a parti d’adhérents rather than a parti de militants.” In multiple publications and TV appearances, both Tsipras and Pablo Iglesias, Podemos’ former TV personality spokesman, have emphasized the need to reach beyond traditional left bases among educated workers, student radicals and intellectuals, being realistic about the extent to which the left has been defeated in the court of public opinion — in other words, “mainstreaming” the movement. There are plenty of lessons to be taken from Syriza’s victory and Podemos’ rise to power, but striving to speak to people rather than politics might be chief among them.